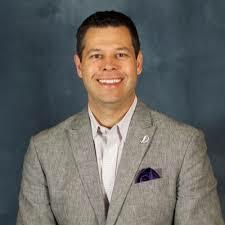 An accomplished sales and marketing executive with a successful track record and vast experience in corporate partnerships, marketing and all aspects of ticket sales and service, Dillon’s career with the Padres began in August of 2009, when the team hired him as vice president of ticket sales and service. In that position he oversaw all ticket sales, service and operations. That included all season tickets, group tickets, luxury suites, premium seating, CRM, analytics, single game tickets and ticket office operations. During that time the Padres increased the team’s season ticket base, as well as overall attendance, for two consecutive seasons. His team also helped set new Petco Park records for season ticket renewals. During Dillon's tenure he and his team created the Padres inside sales program, which is now regarded as one of the best in sports business, as well as developing the Padres Membership Program, which provided year-round benefits and activation to season ticket holders. The ticket sales department also twice scored the best performance rating in MLB by a Sports Business Journal secret shopper study. In January of 2013, Dillon was named to the position of vice president of corporate partnerships with the team. In that position he served as a member of San Diego’s senior leadership group, reporting directly to the president/CEO. He was responsible for managing all corporate partnership relationships, and growing revenues. During his time in the corporate partnership department, the Padres saw significant increases in revenue, as well as local and national partnerships. Under Dillon’s guidance the department is on pace to see an increase in revenue for the third consecutive season. Prior to joining the Padres, Dillon held the position of director of premium seating and ticket sales for the Oakland Raiders of the National Football League from February of 2006 until August of 2009. While in Oakland, Dillon managed all new season ticket, group ticket and luxury suite programs. He worked closely with the marketing department to develop and implement campaigns that included television, radio, outdoor, digital and print to name a few. Dillon worked in a variety of ticket sales and special event roles with the San Francisco Giants of MLB from 2002 until he joined the Raiders in 2006. A four-year varsity football player at the University of Oregon, Dillon earned Bachelor’s degrees in English and History in 2000. He went on to receive his MBA with an emphasis in sports marketing from Sonoma State University in 2003.